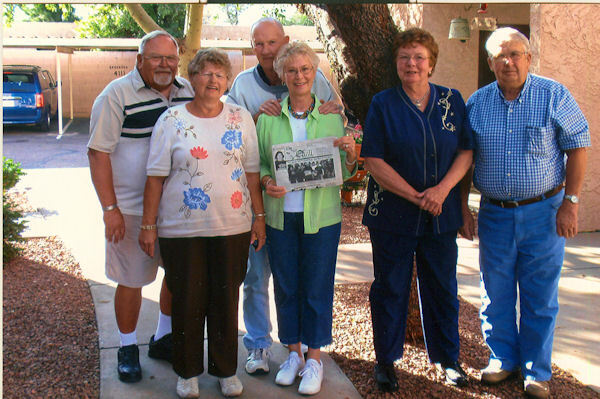 What a beautiful January day in Arizona that brought three 1958 classmates together for a reunion. Mr. and Mrs. (Diane) Bill Brown of Carman, Mr. and Mrs. Dave (Miriam) Sawtell (Nebraska) and Mr. and Mrs. Garland (Trudi) Lefler (Stronghurst). When you go on a trip, take "The Quill" along and have your picture taken with it, then send it to us. Let's see where all "The Quill" can travel.